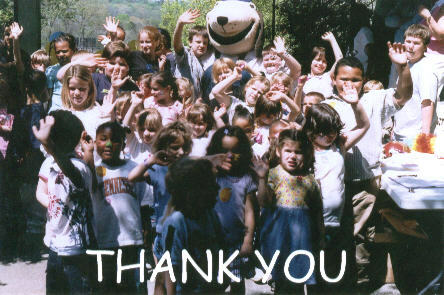 We wanted to share this photo with you God has blessed us to reach out to so many children as well as adults. When I was in my early twenties I had an abortion and was never able to have children after that. 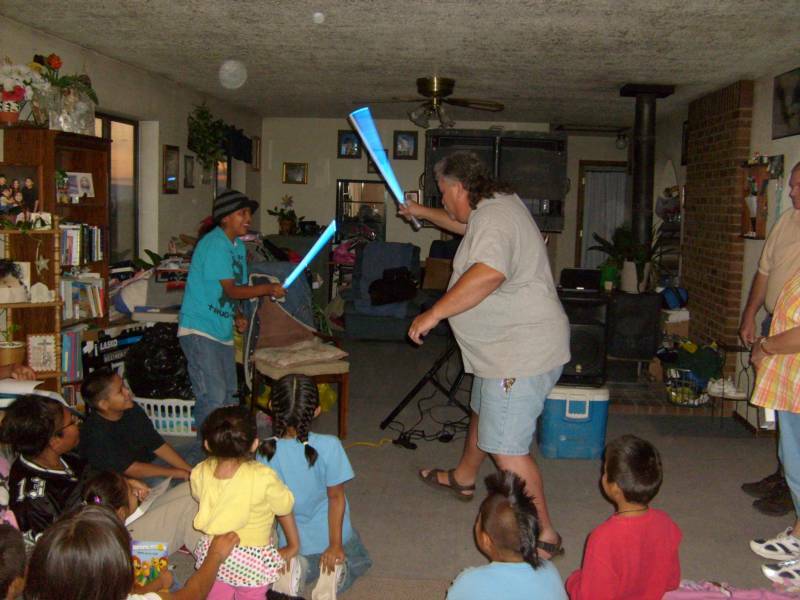 After I got saved many years later while in church one day a lady had prophesied that one day I would be surrounded by many children and as you you can see in this picture and in many others we are surrounded and praise be to God for the things He has done and will continue to do as we press on in His service. Every three months we will have an up to date news letter to show what God has been doing through the ministry. Please scroll down and view our most current letter. Matt.19:14 But Jesus said,suffer little children,and forbid them not,to come unto me: for of such is the kingdom of heaven. God Bless and keep you! Praising God in all areas for all He is and all He has done. It has been a while since our last update but we wanted to share with you what GOD has been doing. We are still ministering with the homeless in Knoxville Seeds are still being sowed and lives are being changed. Thank you to those who continue to support the work of God. We really miss going to the reservations and have not been able to go due to finances. As you can see from the pictures below it brought not only Jesus to those who were lost but also brought laughter and joy. Our contact information is on our home page..Thank you again and In Gods Grip we give Him the glory for all that is done...God is awesome. God also blessed us to take clothing and food to the homeless. The year 2018 was awesome for the harvest was great. We so look forward to what God is going to do this year and ask that you continue to pray for us as we bring forth the gospel to those who are lost. The Lord is good and we are so grateful that He uses us in the capacity that He does. God bless you and thank you for taking the time to read up on what has been happening. 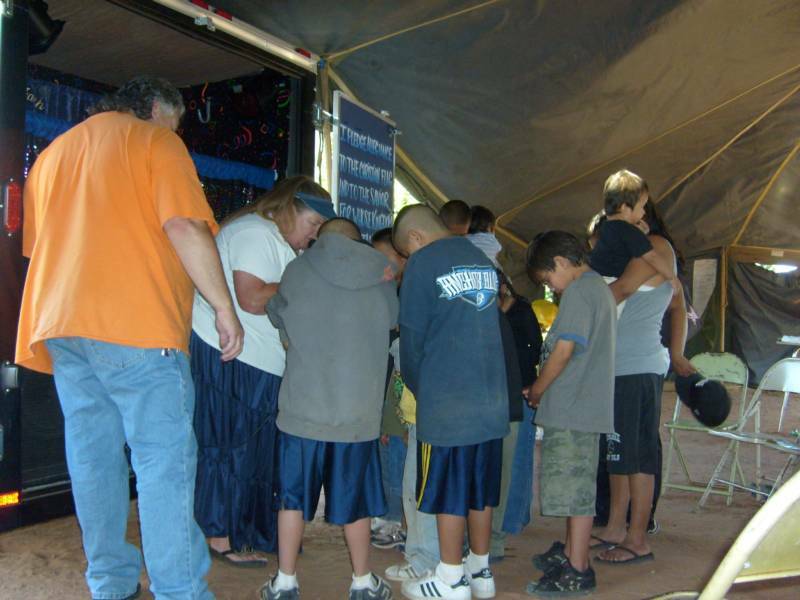 The needs are great in the ministry we really need monthly support to keep reaching the lost.